Welcome to B.S Roofing Repairs. 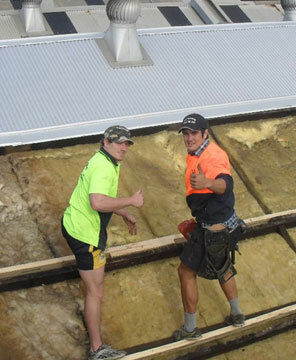 We are highly reputable roofing contractors in Sydney based in the Western Suburbs. We provide first class roof restoration, roofing repairs, roof guttering systems, whirly bird installation, and chimney removals for both residential and commercial clients located in Penrith, Blue Mountains, Windsor, Hills District, Sydney's Western Suburbs and the surrounding areas. We have built our name and reputation as being the professional roofing contractors and roof repairs specialists in the market today. Our customers know and recommend our roofing contractors for their friendly service, quality workmanship and unbeatable value for money. Roof restoration and roof repairs don't have to be a stressful event. In fact, when you work with our roofing contractors, you'll quickly learn that the B.S. Roofing Repairs difference lies in the way that we describe your options in clear, no nonsense terms, give you real expert advice and clean up your property after we leave. For a free quote on your next roof restoration or roof repairs project, please contact us today. We employ reliable, honest, and highly skilled professional roofing contractors, which enables us to offer you a professional roof restoration and roofing repairs service from start to finish. B.S. Roofing Repairs offers a complete roofing service, from major roof restoration projects through to minor domestic leaky roof repairs. Our industry experience in all facets of roof construction and roof restoration provides our Sydney clients with peace of mind. We also provide competitive pricing that won’t send you budget through the roof. All our work is guaranteed, and we also hold all the necessary insurance requirements. Please Contact BS Roofing today for more information. For expert advice or a Free Quote call one of our licensed and insured roofing experts contractors today on 0418 296 346.